Sarah is supposed to work at the library, but she has no desire to do so! 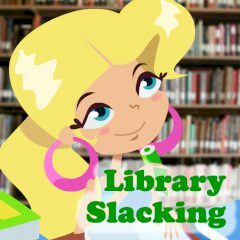 Help her do whatever she wants while the nasty librarian is not there. Do not get caught red-handed or you will get in trouble!